Yeah, but: The UK got to it first. The Long Version: Canada Post's Permanent Stamps are almost two year old, and have been a tremendous improvement over having to add those annoying 1-cent stamps every twelve months. Canada Post printed some 430,000,000 of those little cheapies in the six years before they went to the new system. Known generically as a "no-value indicator" stamp, these little gems make life so much easier. Envelopes look better without a gaggle of little ones tagging along, and I get to forget all about how much our current postal rate is when I find a few stamps hidden at the back of the drawer. 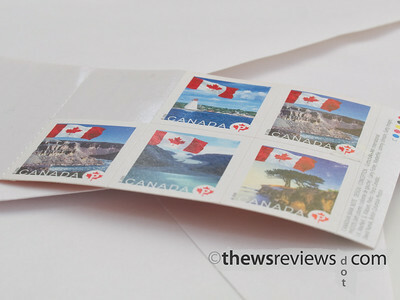 Canada Post gets to print far fewer stamps, and everyone wins. Good ideas spread: the same basic system can also be found in a couple of other countries, like the United States, Singapore, Finland, Israel, Belgium, France, Norway, Monaco, and Sweden. It's like trading commodities or stocks with every letter.